This dialog appears as explained in Interactive Healing. 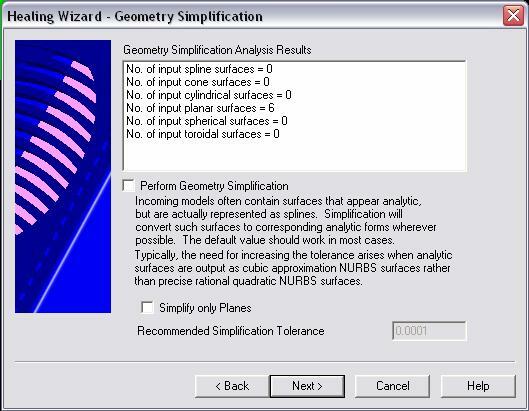 Specify whether to perform geometry simplification, or simplify only planes. A recommended simplification tolerance appears at the bottom of this dialog. Specify a simplification method and click NEXT to continue.